In an unprecedented decision earlier this month, the Seventh Circuit Court of Appeals ruled homeowners can sue if they feel banks unfairly denied their home loan modification applications. It was a victory for homeowners that was punctuated by the language used by one federal judge, who wrote: "Prompt resolution of this matter is necessary not only for the good of the litigants but for the good of the country." Chicago attorney Rafey Balabanian said it was a "monumental decision" that could give some homeowners a bit of recourse. He used the term "intentional incompetence" to describe some banks' inaction when it comes to applications submitted under the Home Affordable Modification Program. Balabanian is part of a case against Wells Fargo concerning one homeowner's inability to get a an approval. He alleges the bank makes borrowers jump through hoops while they wait in limbo. "All they do is keep moving the goalpost," he said. "And so there's just no end in sight." 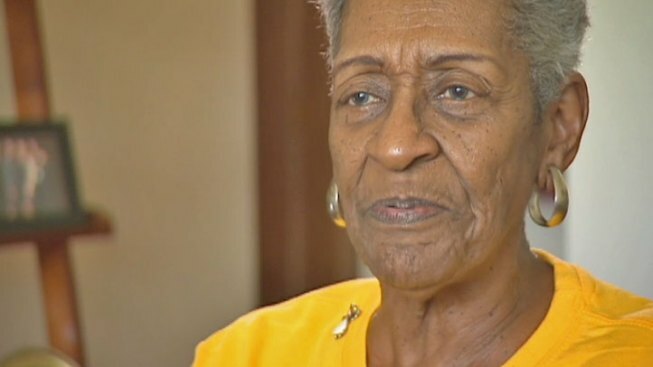 Case in point: a 75-year-old woman named Barbara Jackson spent months going back and forth with Wells Fargo to clear up a case of mistaken identity. Jackson, who lived in her Calumet City home for 22 years, said she has been in line for a loan modification from Wells Fargo since 2009. She's had to reapply four times, she said. Though her ordeal, Jackson said she learned from her bank that three other women named Barbara Jackson had liens against their homes. Wells Fargo wanted proof that she wasn't the Barbara Jackson with the liens. "My first thought was, 'What are they doing, going through files and anybody that's Barbara Jackson, named Barbara Jackson, I'm responsible for?" she said. It wasn't easy, but Jackson said she got the proof Wells Fargo requested -- from the IRS, from the Illinois Department of Revenue and from the courts -- that proved her home was lien-free and that she had none attached to her name. Still, she said she had little luck with Wells Fargo. "They keep saying the same thing over and over again. I keep sending them papers to prove, but they claim their underwriters will not accept that," she said. At the request of NBC Chicago, Wells Fargo looked into Jackson's case and said hers was "uniquely complex" and that "whenever homeowners... request a loan modification" ... they "have the obligation to provide a clear title." However, Wells Fargo did admit it could have done a better job communication with Jackson. The 75-year-old ultimately was granted a loan modification by the bank. Residents of Cook County can check the Recorder of Deeds website to see if they have liens on their property.